Excellent tip Mystic. keep ’em coming. Ping doesn’t come up on in the Restrictions list on my iPhone, perhaps because I’ve never tried to use it on my iMac or iPhone. Which is too bad, because I’ve noticed the battery drain and would like a fix. Apple really should have a policy of getting better life out of each upgrade rather than worse. Oops! I clearly have too many gadgets. My previous comment, I just discovered, was about my iPhone 3G, which is running 4.0.2 and not my 3GS which is running 4.3. Ping does appear on the Restriction list of the latter. Thanks your post very useful. 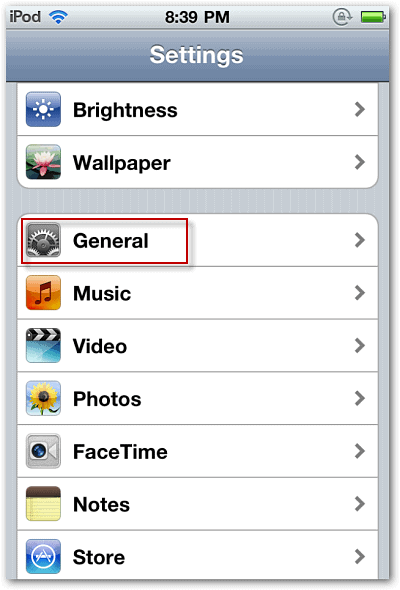 BTW everyone…this will remove the Ping icon from the controls on the bottom of the iTunes screen as well. That provides you with a bit more space for relevant controls. Just started losing power like crazy 2 days ago. Battery has been losing power at a rate of at least 10% per hour in standby! Hoping that this solves the problem. @Dave Smart: I was having the same problem as well, and this seems to have helped. Not losing power like crazy as you mentioned. I was also losing power like crazy on my iPad and disabled Ping… not sure if it’s helping much yet though. Thanks for the great tip. I have been losing power at a much quicker rate since installing iOS v4.3 so hopefully this will help. Plus I love that you used Gov’t Mule in the screenshots for this tip since they are one of my favorite bands! @bschold: Cool. Hope it works for you. It seems to be working for my iPod Touch 4th Gen. After the update I was losing a ton of juice in stand-by mode. Now it’s improved a lot. Also, Yep Gov’t Mule… you’ll find that we are huge fans as well here. Another thing that will drain you battery really quick!! Is not closing all your apps that is running in the background. To close the running apps! double click the home button located at the bottom middle of the phone. And you will see a list of all the apps running in the back ground. Next touch and hold preferably the first app, till a red circle with a minus symbol pops up to the top right of the apps that are currently running. Then touch every minus button of the apps you want to close if not using them at the time.